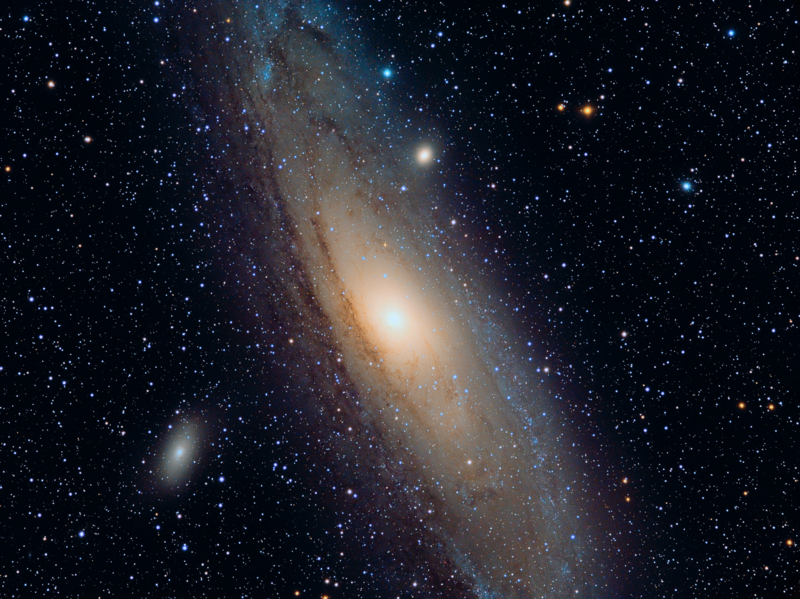 The Andromeda Galaxy is our nearest (big) galactic neighbour, at a distance of 2.5 million light years. It is about twice the size of our own Milky Way galaxy and the two are expected to merge in to a single galaxy in about 4.5 billion years time. Compare to my previous attempt from 2013 using a DSLR camera. Very beautiful, I love the way the stars show their individual colour and stand out so well against a black background. Excellent! A superb image capturing the dust lanes and nucleus really well. The colours are really natural anspd the stars pin sharp. The spiral arms exhibit fine detail, a overall effect is very pleasing, a really great achievement.